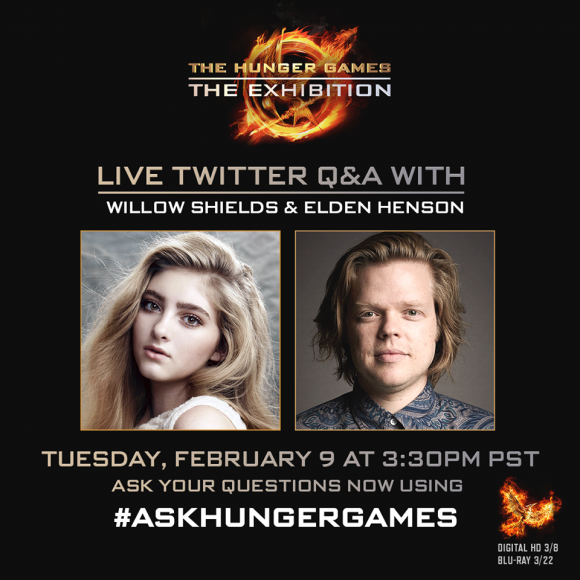 Actress Willow Shields and actor Elden Henson will be doing a live Twitter Q&A on Tuesday, February 9 at 3:30 PM PST. 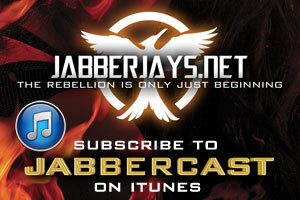 To submit questions for them, use the hashtag #AskHungerGames. 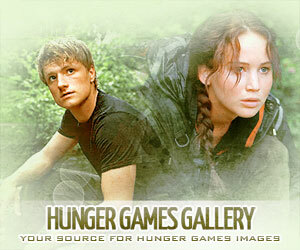 The Q&A comes just a few days before the opening of The Hunger Games Exhibition in San Francisco, and the two actors will be promoting the opening days before the exhibition is set to open to the public on February 13 at the Palace of Fine Arts. Do you have a question you want to ask either of them?